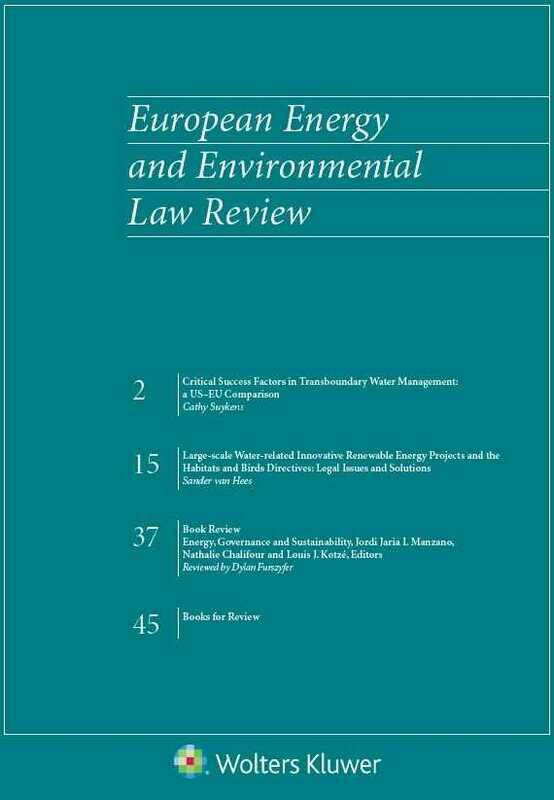 European Energy and Environmental Law Review is a bi-monthly journal which presents comprehensive coverage of the latest developments in energy and environmental law throughout Europe. In addition to this, European Energy and Environmental Law Review contains concise, accessible articles which explore and analyse significant issues and developments in energy and environmental law and practice throughout Europe. European Energy and Environmental Law Review enables the reader to keep abreast of significant and topical aspects of energy and environmental law, including the legal issues relating to renewables, energy security, energy efficiency, energy competition law, energy liberalisation process, electricity and gas markets, climate change; sustainable energy, land, air, fresh water, oceans, noise, waste management, dangerous substances, and nature conservation. Its succinct, practical style makes it ideal for the busy professional, while the authority, scope, and topicality of its coverage make it an invaluable research tool.